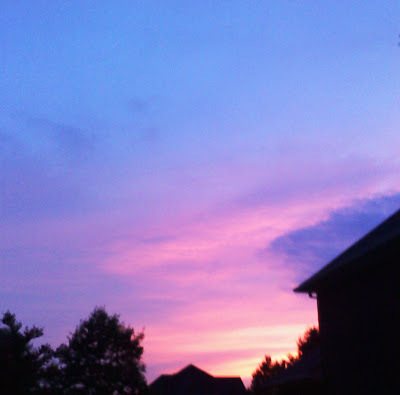 Snapped with my so-so trusty cellphone camera upon arriving home from dinner earlier this week. Visit the friendly skies at http://www.skyley.blogspot.com/, you won't be disappointed! Trying to get back into a blogging routine, so difficult around here but miss catching up with you all! What a lovely sunset. Your blog is hard to comment on now for some reason. I finally figured out how to do it but lots are having problems I think.